Thermoplastic Olefin – or TPO is a form of membrane roofing that is primarily used in commercial roofing applications but is also used in low slope residential applications as well. It is the fastest growing material in the commercial roofing industry. TPO is used as the cover of a roofing system typically installed over rigid insulation board or a cover board. By welding the seams of the material, we form a watertight membrane shield over your building. Not only is TPO watertight when installed correctly, it is also a fantastic way to reflect the heat of the summer sun – proven to maximize the energy efficiency of your roofing system. There are many different manufacturers of TPO membrane, and just like with other roofing systems, the choice of the manufacturer is almost as important as the choice of your roofing contractor. Whether it is a commercial application or residential application, Weathertight Roofing has you covered. The reason we like TPO as one of our preferred roofing materials is that it is very affordable, durable and when installed correctly as our professionally trained staff is certified to do, is unbeatable for cost per square foot. TPO is available in many different colors, thicknesses, widths and lengths. Make sure you choose the right manufacturer that offers different options for your roof. Weathertight Roofing will help you with that as no two roofs are the same and we want to make sure that your roofing products are specifically chosen to fit your roof. Warranties are available in many different options depending upon the mil thickness of the TPO, the certification of the installer and most manufacturers offer a No Dollar Limit (NDL) warranty. In order for the manufacturer to warrant their product, it has to be installed correctly. This is why it is so important to choose the right roofing installer for your product. At Weathertight Roofing, we understand how important it is to protect your investment so all of our installers are professionally trained to provide you the best installation possible. We provide a five year installation warranty on all of our roofs! Remember to ask to see certificates of insurance, bonding, licensing and certifications. If they don’t have them, don’t let them on your roof! You can pay once for a certified installer to install your roof or you can pay the rest of your life for one who isn’t certified. Choose Weathertight Roofing for all of your roofing needs and let us help you protect your investment. TPO Roofing Weiser. Thermoplastic polyolefin (TPO) single-handle roofing films are among the quickest developing business roofing material items and have increased wide industry acknowledgment for their numerous execution and establishment focal points. As interest increments for warmth intelligent and vitality productive roofing frameworks, TPO single-utilize roofing films keep on providing excellent imperviousness to bright, ozone and compound presentation. UltraPly TPO Roofing Systems. Appropriate for an assortment of low-incline business roofing applications, Firestone UltraPly™ TPO roofing layer is an economical roofing answer for an extensive variety of building sorts. UltraPly TPO film likewise offers plan choices with boards accessible in intelligent white, tan or dark, which can lessen a building’s cooling prerequisites. White and tan UltraPly TPO layers meet the new form of the California Energy Efficiency Standards for Residential and Nonresidential Buildings (Title 24). These norms characterize cool roofs in California to have a base three-year matured reflectance of 0.55 and a base warm emittance of 0.75 for low-slanted nonresidential structures. White and tan UltraPly TPO films are recorded with the Cool Roof Rating Council (CRRC), and meet or surpass the new Title 24 prerequisites for low-incline roofing layers. The posting for white and tan UltraPly TPO films can be found on the Cool Roof Rating Council (CRRC) site. Knowing when to replace your home’s most valuable improvement is easy, but knowing how much you should pay to replace it is anything but. That is why a skilled contractor has simplified the process for installation or replacement. The type of roof material you choose can greatly affect the overall replacement cost. If you’ve been considering upgrading your home and increasing its resale value, you should know that beautiful and enduring metal roofing is highly valued as one of the top renovation-friendly building materials and new home builders alike. What are the material alternatives for private roofs? Today’s mortgage holder has various alternatives with regards to the style, material and shade of their rooftop. 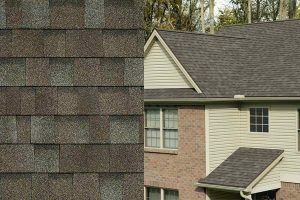 Asphalt shingles are by a wide margin the most well-known choice, with metal, dirt tile, solid tile, slate and cedar shake as choices. The dominant part of private roofs in the U.S. wear asphalt shingles since they are lovely, reasonable, solid and low upkeep. Platinum TPO Roofing Systems. Firestone UltraPly™ Platinum TPO framework is a thermoplastic roofing framework upheld by a 30-year guarantee. Included a tough, 80-mil-thick scrim-strengthened film, the UltraPly Platinum TPO framework can be completely followed or mechanically joined to Firestone protection and affixed to an extensive variety of deck substrates. The UltraPly Platinum TPO framework highlights Firestone protected Wide-Weld innovation to give the business’ vastest field creases and most elevated mechanically connected wind appraisals, while its scrim-fortified film offers upgraded cut, tear and scraped spot resistance. The intelligent surface of the UltraPly Platinum TPO framework meets ENERGY STAR® benchmarks for vitality reserve funds in warm atmospheres, making it a remarkable long haul roofing esteem for building proprietors. The UltraBlend Roofing System consolidates the qualities of UltraPly™ TPO and RubberGard™ EPDM films in a complete, warrantable roofing arrangement. Utilizing UltraPly TPO layer for level rooftop surfaces and either RubberGard EPDM or RubberGard EcoWhite™ EPDM for vertical surfaces, for example, parapet dividers, the UltraBlend framework can help temporary workers spare time and diminish work costs, while giving building proprietors the certainty that their rooftop is secured by strong roofing materials that have withstood the trial of time. UltraPly TPO Reinforced Split Pipe Boots are industrial facility created boots produced using superior UltraPly TPO film. The boot is particularly intended for blazing round entrances and will fit different sizes. The split outline permits the boot to be utilized to glimmer funnel infiltrations with constrained or no entrance from over the entrance. The configuration diminishes work and expands the execution of the point of interest and framework. TPO and PVC rooftop frameworks – Flexible, adjustable, vitality productive. 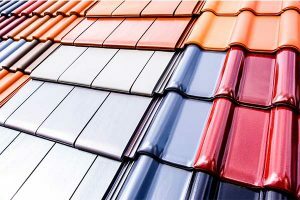 The PVC roofing layer has a broad establishment history in the roofing business. Initially introduced in the mid 1960’s, PVC was the business’ response to the oil emergency, as it was the principal film to contain half of the fossil energizes ordinarily utilized as a part of framework assembling. Engineers found that adding extra strong plasticizers to the PVC film considered extra weatherability and adaptability, where the layer alone would be more vulnerable to regular atmosphere changes. PVC layers are unbelievably adaptable and concoction safe. They are accessible in an assortment of hues, thicknesses, widths, and fortifications, making them an amazing choice for any roofing venture. PVC roofing is exceedingly suggested for rooftop over activities. 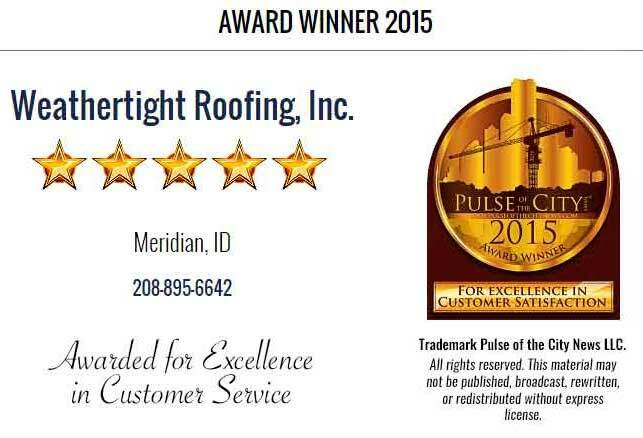 From investigation and establishment to repairs and upkeep, Weathertight is focused on being your go-to roofer. Our hard work and generation teams go to compulsory well-being and establishment preparing all the time. This implies your undertakings are OSHA agreeable and finished by experienced, particular specialists unfailingly. Our Single Source Warranty implies we deal with any issues straightforwardly. You call us and we deal with it! It’s that straightforward. Why pick Weathertight as your TPO or PVC roofing framework contractual worker? Weathertight introduces more than 50 million feet of thermoplastic film every year. We likewise offer our Single Source Warranties that spread both workmanship and materials. Thermoplastic materials are recognized from thermoset materials in that there is no synthetic crosslinking. These films can be over and again mollified by warming or solidified when cooled. As a result of the materials’ substance nature, thermoplastic layers commonly are seamed by warmth welding with hot air or dissolvable welding. TPO films are delivered by calendering with overlay, expulsion with cover, or expulsion covering procedures. TPO sheets are a mix of polypropylene and ethylene propylene polymers and as a rule are fortified with polyester. TPO sheets contain colorant, fire retardants, UV safeguards and other exclusive substances to accomplish wanted physical properties. TPO films regularly are white. There are numerous decisions for TPO layers. Just EverGuard Extreme® TPO offers superb execution over “standard” TPO films and the business’ best ensure: up to 35 years! In particular, this patent-pending innovation conveys cutting edge execution against warmth maturing and UV corruption (the two key execution attributes specifically identified with rooftop framework longevity),and additionally surpasses all key ASTM benchmarks for TPO layers. Try not to settle for standard TPO when you can get the propelled assurance of EverGuard Extreme® TPO for your property. When you’re searching for extraordinary execution in a worth estimated TPO roofing framework, look no more remote than great EverGuard® TPO. It’s ideal for new development or re-roofing where brilliant execution is required at a savvy cost. It includes the same awesome execution that all EverGuard® items offer—remarkable crease quality and cut resistance, exceptional long haul weathering, and simple establishment—for most extreme unwavering quality. When you’re hoping to stay away from the cost of expelling a current roofing framework before introducing another one, EverGuard® Fleece-back TPO is the ideal decision. It’s additionally perfect for applications over grating surfaces, for example, cement or granule-surfaced films, as no defensive sheet is required. It additionally gives extraordinary establishment adaptability, as it can be mechanically connected, cleaned in hot asphalt, or completely followed utilizing either customary or low-ascent froth cements. EverGuard® Fleece-back TPO even has framework designs for improved hail resistance. 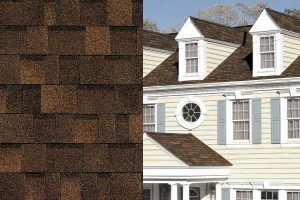 Shingles are almost always highly visible and so are an important aspect of a building’s aesthetics in patterns, textures and colors. Shingles, like other building materials on vernacular buildings, are typically of a material locally available. The type of shingle is taken into account before construction because the material affects the roof pitch and construction method: Some shingles can be installed on lath where others need solid sheathing (sheeting) on the roof deck. Alongside the ecological advantage of utilizing (less) fossil powers in the assembling procedure, PVC is profoundly intelligent/UV safe, making the layer a vitality effective alternative for hotter atmospheres. Thermoplastic Polyolefin (TPO) History and Benefits. Financially savvy, recyclable, ENERGY STAR appraised. 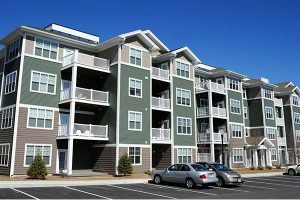 TPO rooftop frameworks have been introduced in the U.S. throughout the previous 30 years. TPO layers are made with a co-polymerized elastic that permits them more prominent adaptability in chilly climates.This film is best perceived for having the advantages of EPDM and PVC frameworks, at a more practical expense. TPO films are white and exceedingly intelligent, settling on them a fantastic decision for those hoping to diminish vitality costs. Notwithstanding being ENERGY STAR evaluated, TPO’s recyclability settles on it a magnificent decision for the ecologically cognizant.